It can be followed by feeding Honor® Show Chow® Finishing Touch® feed. It’s never too early to start thinking Winner’s Circle. 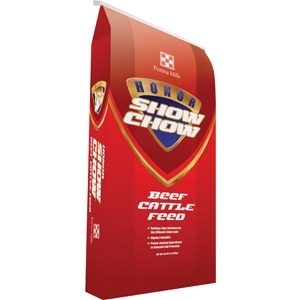 Get your best animals on Honor® Show Chow®Fitter’s Edge® feed today so they can reach their full potential.